Federal and state courts alike have partially halted the construction of fracked gas pipelines across the region as cases are decided and permits are reevaluated. The U.S. House of Representative’s version of the 2018 Omnibus Farm Bill would roll back protections for endangered species, water and public lands. We’ve resisted the Mountain Valley and Atlantic Coast pipelines for more than three years. 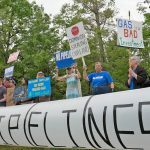 Now Virginia lawmakers need to hear our voices to ensure that legislation to better protect landowners and water resources from fracked-gas pipelines becomes law. The Federal Energy Regulatory Commission issued licenses for two West Virginia hydropower projects in September despite concerns from the state’s Department of Environmental Protection. The Clearfork Valley of Tennessee has been intensely surface-mined going back decades. 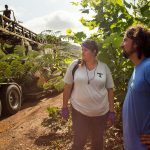 Now, Kopper Glo Mining is moving forward with a nearly 1,500-acre mountaintop removal mine on nearby Cooper Ridge. 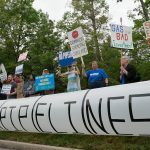 As expected, the Federal Energy Regulatory Commission recently gave a glowing review to the Atlantic Coast Pipeline, overlooking the threats to wetlands, forest, drinking waters and indigenous populations along the pipeline’s proposed route. 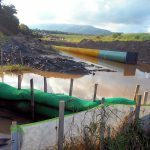 A coal slurry spill on March 23, 2017, leaked approximately 5,400 gallons of coal slurry into Crooked Run, a tributary of the Coal River. The processing plant in Boone County, W.Va., where the spill originated is affiliated with Alpha Natural Resources. 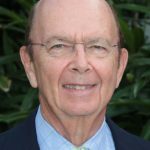 Wilbur Ross — a man who helmed a large Kentucky coal company with a troubled history of environmental and miner safety violations — has been chosen to be the next U.S. Secretary of Commerce. If President-elect Trump truly believes that economic growth and opportunity can only be gained at the expense of worker safety, community health and clean water, he could make no better pick than Ross. The Russell Fork River was recently added to American River’s 2016 list of America’s Most Endangered Rivers because of threats from mountaintop coal removal mining.